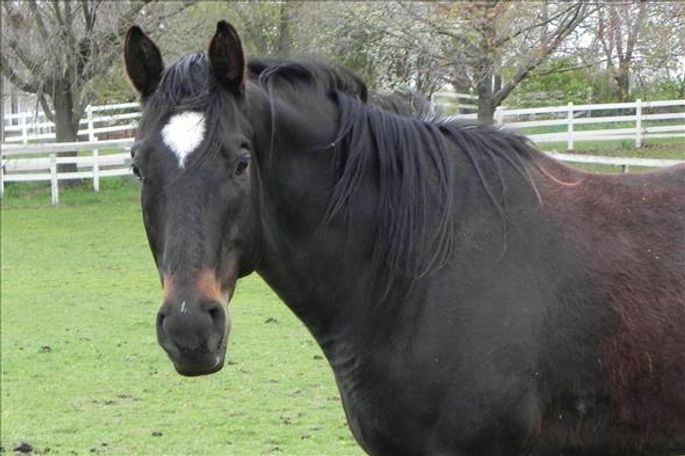 BlackJack is a big, handsome black Quarter Horse gelding that came to HAHS through a case of neglect. BlackJack had a body score of 1 when he came to HAHS, but recovered well. BlackJack has a lip tattoo that showed us he was a Quarter Mile racehorse! BlackJack has EPM and is susceptible to accesses, so he would need a home as a pasture pal only. 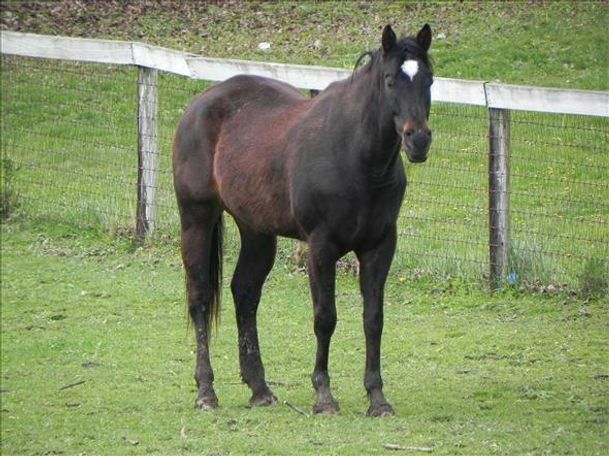 This big gelding is super easy going, great to handle, and loves attention.